You are here: Home / Sightseeing / A Night at the Opera – Italian style! Flamboyant, emotional, dramatic – Italian opera is so unapologetically…Italian! It is surely no coincidence that opera, with its flamboyant, emotional and dramatic style, was born in Italy. 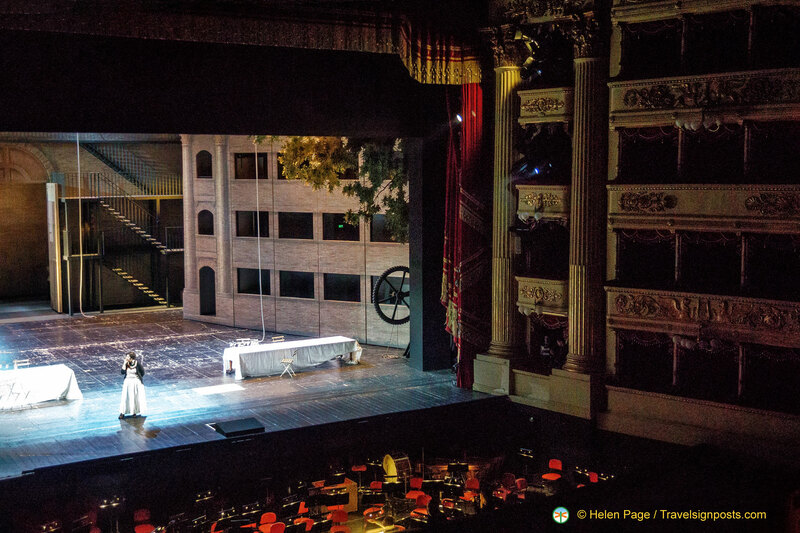 Opera is the perfect medium for appreciating the beauty and musicality of the Italian language and there is no shortage of stunning venues where you can take in the atmosphere of this theatrical art form. Probably the most famous Italian opera house is Teatro La Scala, in Milan, known as “the temple of opera”. Most of the great singers of the last 200 years have sung here and the divine Maria Callas made her official debut at La Scala. One of the most anticipated events in the opera season, is the New Year’s concert at La Fenice (“The Phoenix “) in Venice. The theatre was nearly burnt to the ground twice, but like the phoenix, rose from the ashes and was fully restored in 1996 with the support of many celebrities and elite benefactors, including Woody Allen. 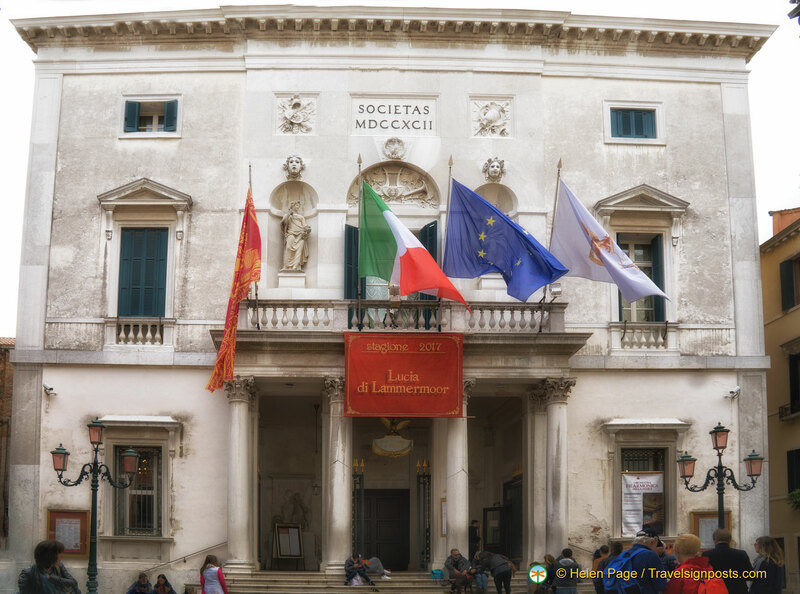 The oldest opera house in Italy is Teatro San Carlo in Naples, which was home to the first performances of many works by Gioacchino Rossini and Gaetano Donizetti. 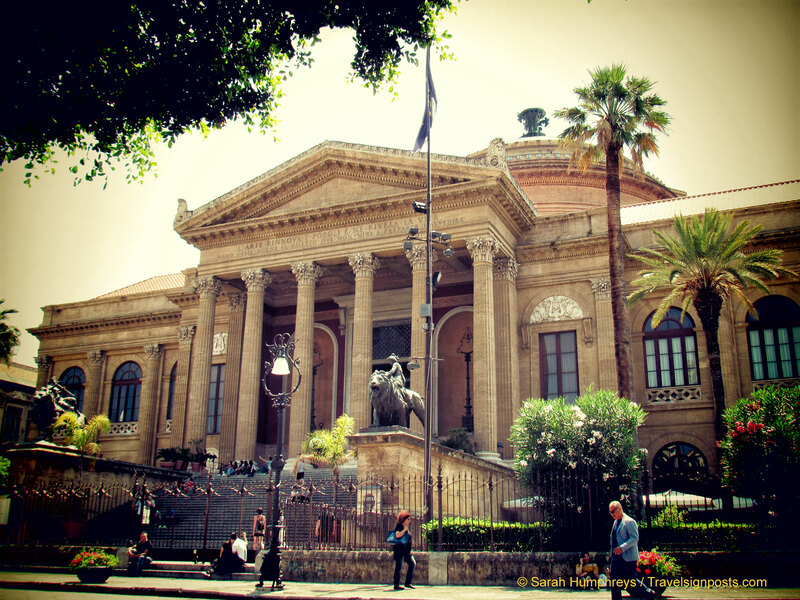 Teatro Massimo in Palermo is considered to have some of the best acoustics in the world and is the third largest opera house in Europe. The tragic conclusion of Francis Ford Coppola’s “Godfather” saga was staged on the steps of the theatre. Spectacular as these venues may be, there is nothing quite like listening to the strains of Verdi, Rossini or Puccini under the stars on a warm summer’s evening. Several opera festivals take place around Italy in the summer months and promise an unforgettable experience immersed in the heat and romance Italy, even if you are not an opera fan. 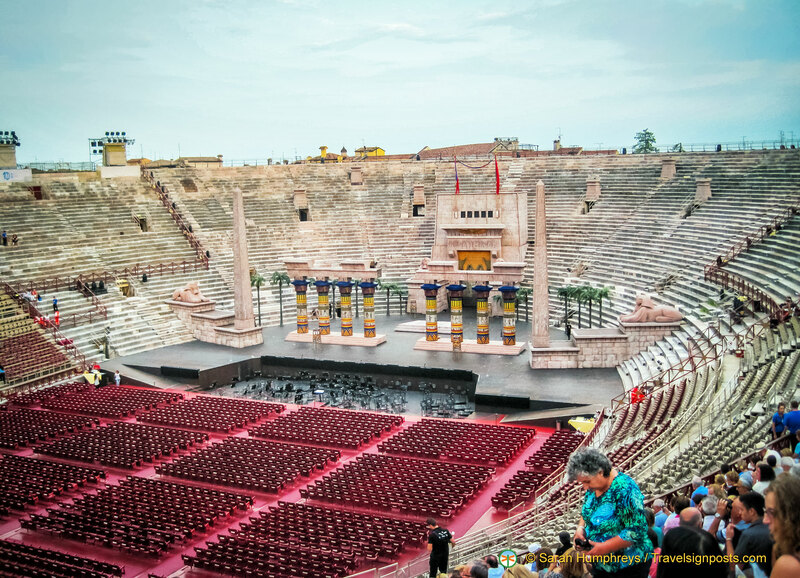 The 2,000 year-old arena in Verona is the most splendid location for a night of entertainment in the open air. This restored amphitheatre seats up to 15,000 spectators and the excellent acoustics allow performances to take place without microphones. The programme usually features well-known works such as “Nabucco”, “Tosca” and “Rigoletto” and never fails to include “Aida”. Verdi’s epic opera has been performed here since 1913 and features live animals, and enormous pieces of scenery, which are left lying around outside the Arena between performances. 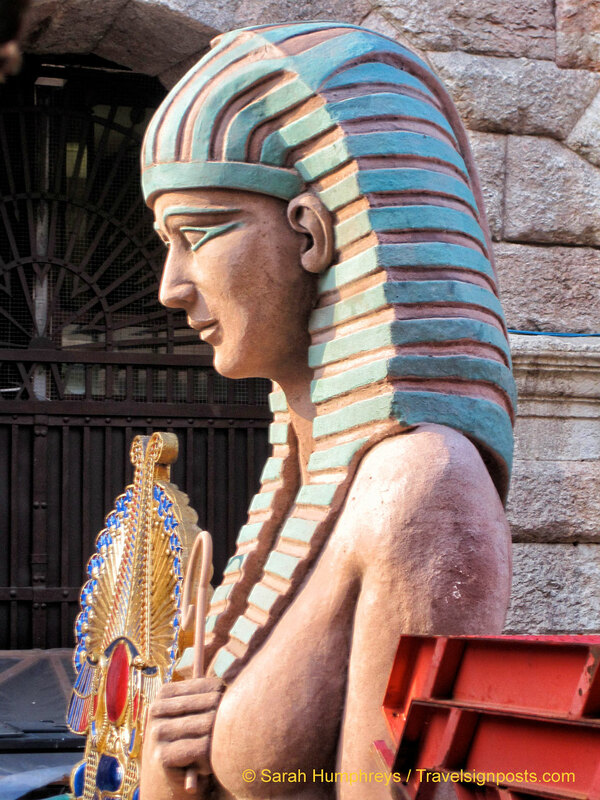 Items of scenery lie about outside the Arena between performances. Operas start around sunset and traditionally members of the audience light candles (which you can pick up on the way in) as the overture is played. Remember that performances can be up to 4 hours long, including the intervals. If you have paid for an “unreserved stone step”, you will certainly need to rent a cushion, but it is a good idea to bring some form of extra padding. The experience can be rather numbing otherwise. If you have an unreserved seat, arrive early to get a good spot. Performances will be cancelled in the event of bad weather and may be interrupted at any time if it rains. When my partner and I saw “Aida”, we witnessed the spectacular special effects of an approaching thunderstorm. Luckily for us, the downpour started 5 minutes after Aida and Radamès had been sealed into their pyramid. 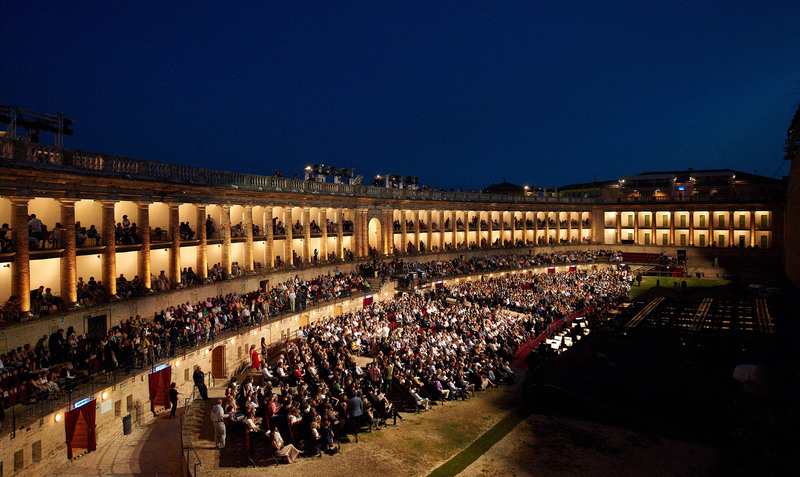 The largest open-air arena after Verona can be found at Sferisterio, which hosts the Macerata Opera Festival in July and August. The arena has great acoustics and an enormous parabolic stage. Unusually, musicians at opposite ends of the pit are unable to hear each other due to the structure of the stage. The first performance of “Aida” took place here in 1921 but the festival has existed in its current form since the 1980’s. 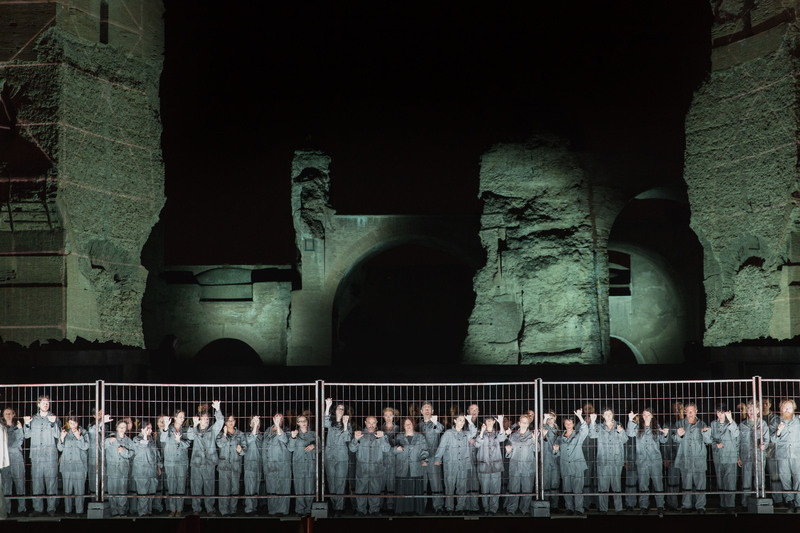 A short walk from Circus Maximus in Rome, the city’s second largest Roman public baths, The Baths of Caracalla, become the backdrop for an open air stage during the Opera di Roma festival. This marvellous archaeological site has 8,000 seats and this year features Carmen, Tosca and Nabucco. Established in 1980, the Rossini Opera Festival takes place in Pesaro, the birthplace of the great composer. Performances are held in the 850-seat Teatro Rossini, the sports arena, and the Teatro Sperimentale (Experimental Theatre) is used for smaller scale shows or minor works by contemporaries of Rossini. Thanks to this festival, lesser-known works of Rossini have been revived. The Festival Puccini is held on the shores of Lake Massaciuccoli in Tuscany, a few steps away from the Villa where Puccini lived and worked for over 30 years and the chapel where his remains lie. The festival began in 1930, 6 years after the composer’s death, in accordance with his wishes for opera to be played in the open air. The lake is sometimes used as part of the scenery! The Gran Teatro all’aperto sits on the edge of the lake, which is sometimes used as part of the scenery. 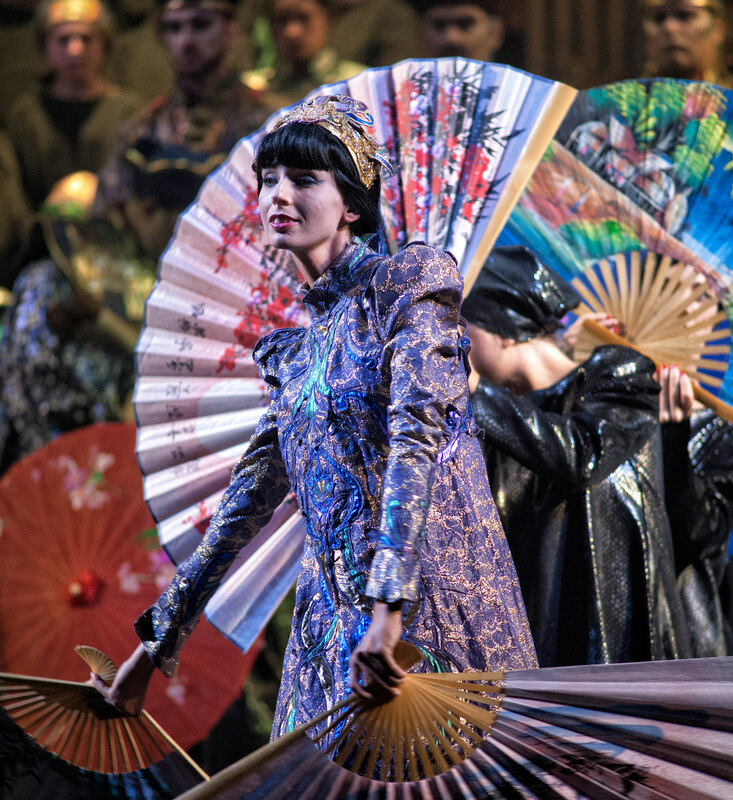 Four or five performances of up to four operas feature each year, “Tosca”, “La Bohème” and “Madama Butterfly” being favourites, and the festival attracts around 40,000 spectators. Be prepared to hear ducks quacking along with the chorus and look out for shooting stars, particularly in August. Remember to bring insect repellent and a shawl or jacket to cover up with. Italian summer evenings may start off warm, but performances can be long, so the temperature may well have dropped by the end. Check the weather forecast. Performances will be cancelled in the event of bad weather. If you plan to stay in Verona, book early as accommodation can be hard to find. Dress is usually smart casual, but if you have more expensive seats, evening dress is expected. Stay until the end of the applause, not only is it etiquette (despite many people rushing out at the end), but you may be treated to an encore. Food, drink and smoking are not officially allowed within open-air theatres. Refreshments will be on offer at the intervals and in Verona, vendors climb up and down the arena selling high-priced snacks and drinks. Very torn between one of the open air venues – probably that fabulous Roman amphitheatre in Verona and the Teatro Massimo for the acoustics. I’ve performed in a few places with what I considereed dodgy acoustics, so I’d really like to go somewhere that people actually agree is fabulous for sound! I love the range of choices. No better way to get to know a place than soaking up local culture. Sounds really fun! I can only imagine the magic of listening and watching in some of these venues! A real glimpse into a music and opera lovers’ passion. Thank you.